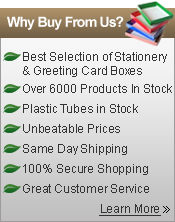 Make your stationery stand out among the rest with our unique stationery boxes. 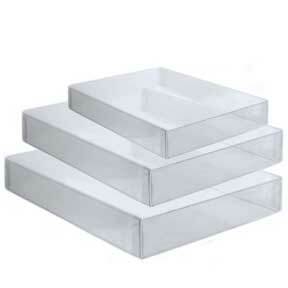 Our stationery boxes are made from a crystal clear 9 1/2 gauge PVC material. The box is a two piece box with a clear lid and a clear base.